Brandy Saturley has painted numerous commissioned original paintings in her unique pop realism aesthetic for Canadian art collectors, worldwide. Each commissioned painting is conceived through a collaborative process with the client. Saturley has journeyed across Canada and the United States; on foot, by boat, by plane, subway, cab and even limousine. Whatever is required to capture the places and subjects required to tell the story on canvas. A commissioned painting is a timeless and personalized gift unlike any other you could ever give, or receive. The final result is an original work of art combing your vision with the artist’s unique language and style. COMMISSION PROCESS: After initial discussion with the client over the phone, by video conference, or in person; Saturley compiles notes and begins with creating three sketches either from client supplied photos, by artist research, or through original photography by the artist at your location, followed by a small watercolour study. These studies are then photographed and submitted to the client for approval, before commencing work on the original commissioned painting. FEES: Current pricing for an original commissioned work painted by Brandy Saturley is the same as for existing original original pop realism paintings, which are priced by size. ADDITIONAL FEES: if the original custom painting you wish to have created requires the artist to fly to location(s) to gather photography reference or meet in person, this would be an additional cost, paid by the client. DEPOSIT UPON BEGINNING WORK: A 50% deposit is required upon agreement and commencement of study sketches and initial watercolour study. Balance due upon shipping final work. Commissions can take between one month, to one year depending on the complexity and size of the work. A commissioned painting is a lovingly crafted original creation and a collaboration between you and the artist, therefore it requires time and patience ensuring a one-of-a-kind, beautifully finished piece that will hold up and be enjoyed for generations. Brandy is happy to discuss your ideas and walk you through the process of commissioning a one-of-a-kind painting created specifically for you, or as gift to your clients. 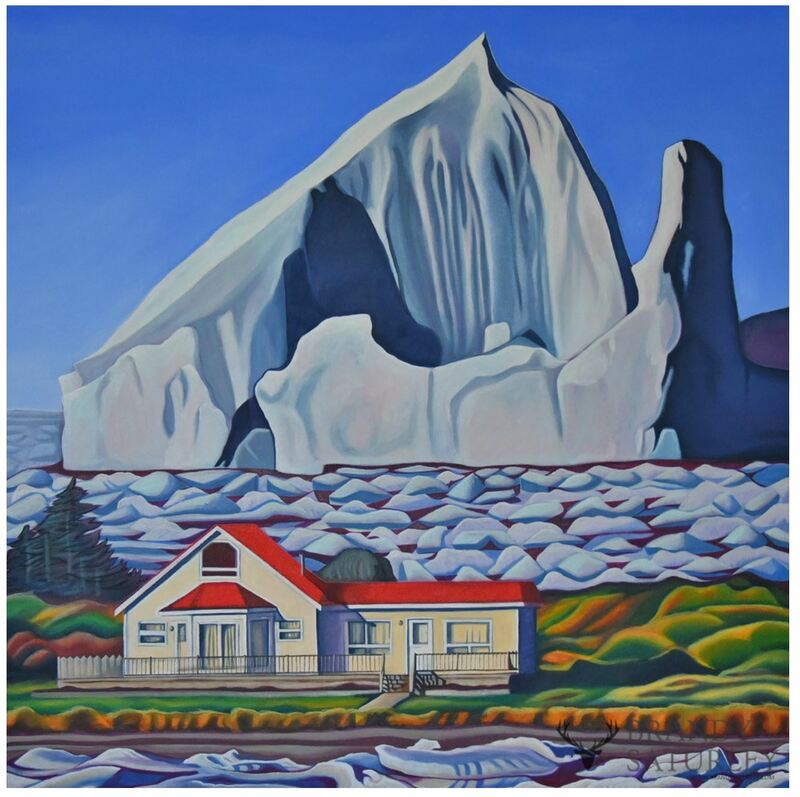 Commissioned Pop Realism Style Landscape Painting of Icebergs in Newfoundland for a client in Montreal, Canada. 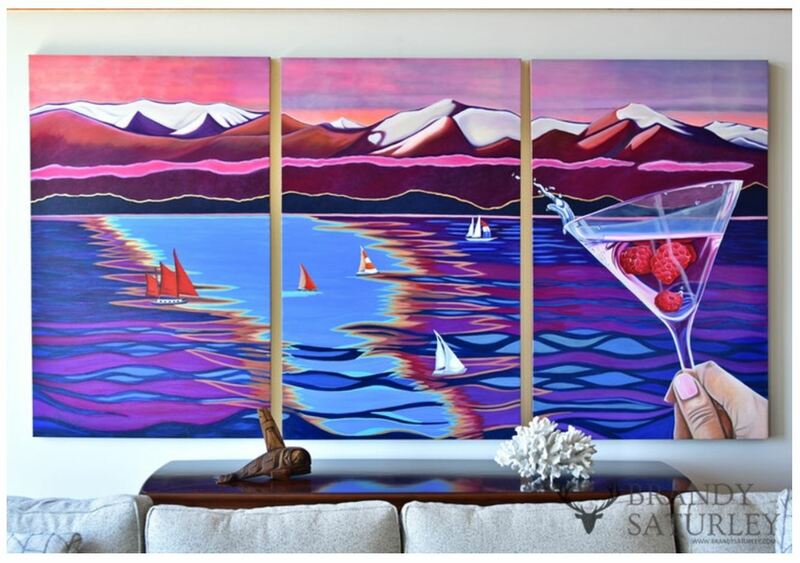 Commissioned Pop Realism Style Landscape Painting of Olympic Mountains and ocean, martini glass, sailboats, as seen from Oak Bay in Victoria BC. 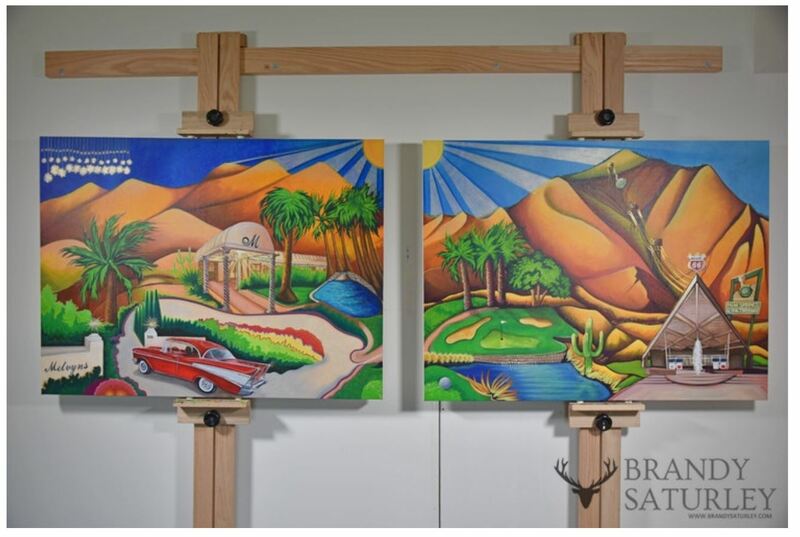 Commissioned Pop Realism Style Landscape Painting of locations in Palm Springs, California. 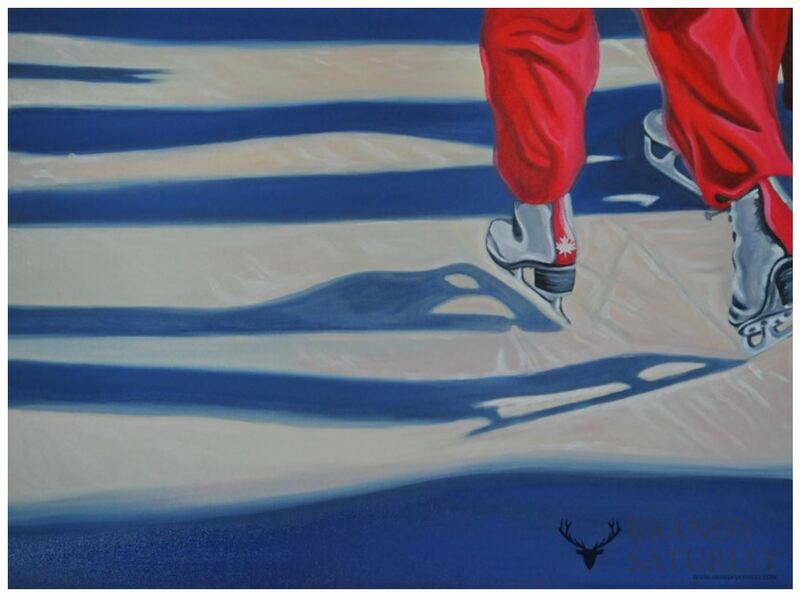 Commissioned Pop Realism Style Figurative Painting of skaters on a frozen lake, for Canada’s Sports Hall of Fame. 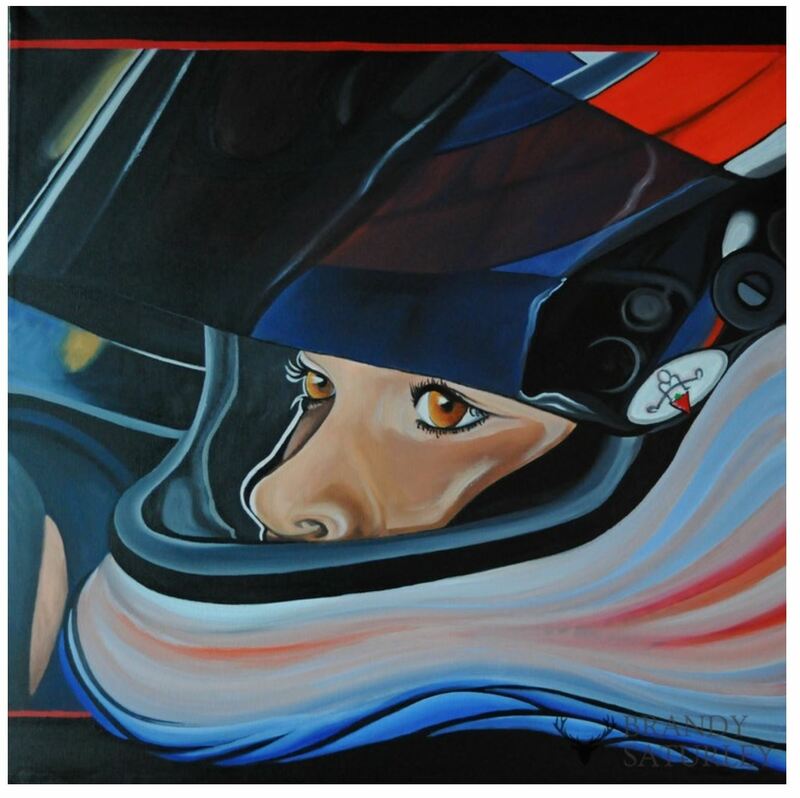 Commissioned Pop Realism Style Painting of Maryeve Dufault for Canadian Tire Jumpstart. Read more about Commissioned Artwork from The Art of Brandy Saturley here. Contact us now to discuss your commissioned painting idea.